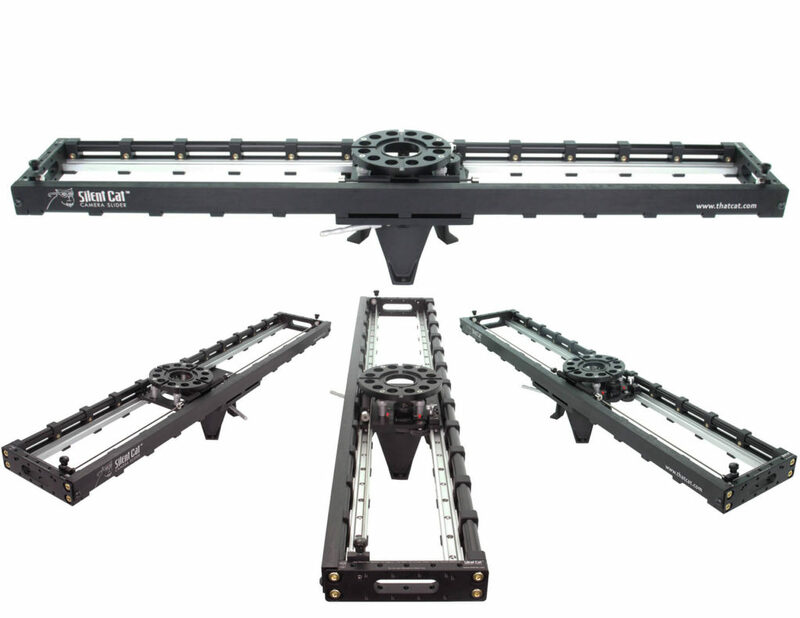 The Silent Cat™ 5000 Camera Slider is 59” inches long and allows a 47” travel. When space isn’t a concern the Silent Cat™ 5000 offers considerable travel before you need to lay a piece of track. It is especially useful for camera movement in the hard to get to location i.e. attics, stairs, woods, the beach, etc. You can reposition the camera and track out of doorways and corners with ease. The Silent Cat™ 5000 offers many more options to mount to a Standard Mitchell Mount. There are eleven mounting positions to choose from when mounting to a camera dolly or any Standard Mitchell Mount*. Use the custom counter weight tray whenever you cantilever the Silent Cat™ 5000**. Switching from top mounted to under slung is fast and requires no tools. 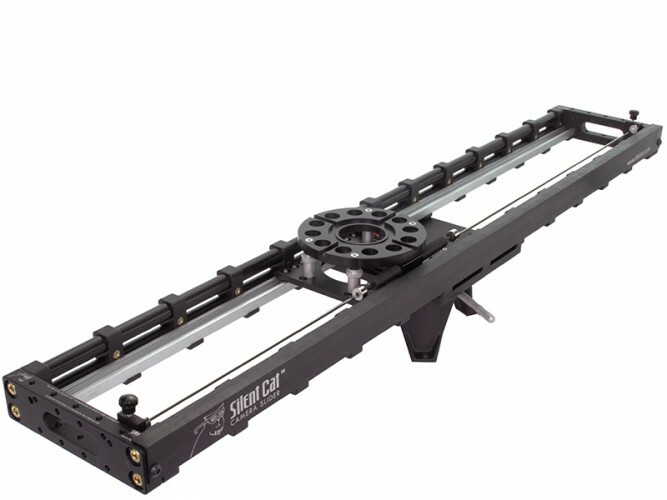 The Silent Cat™ 5000 is the ONLY camera slider that can under sling directly off of the camera dolly. This allows the camera lens to be as low as possible to the scene. *All camera sliders allow the camera to slide into a position where there is an imbalance of weight. The mounting positions available on the Silent Cat™ 5000 Camera Sliders may increase an imbalance of weight. The user of the Silent Cat™ 5000 Camera Slider is responsible for safety and judgment as to prevent the camera and what it is mounted to from tipping over. **Do not cantilever the Silent Cat™ 5000 unless you support the opposite end of the Mitchell Mount with a stand to help support the weight. Use the selection of custom hardware to help facilitate this. The maximum recommended cantilever without this support is 36” Mitchell to Mitchell.